Come out to Lake Iowa and celebrate winter break! 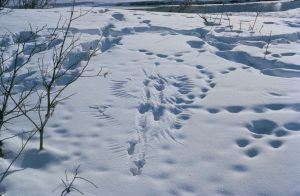 We will do a variety of fun activities, including winter animal tracking, visiting the bird blind, snowshoeing (if there is at least 4 inches of snow). Dress to be outside in the elements. We will have hot cocoa and indoor activities to warm up afterwards. This is a FREE family friendly event.